What is 802.11ac Wireless Protocol? Technology Explained. You’ve probably seen the 802.11ac Wi-Fi on a host of notebook technical specification sheets already. But what is it and why is it better than other 802.11 protocols? First of all, let’s answer the first question that may arise. 802.11 is a group of specifications and standards for wireless local connections developed and maintained by a group called IEEE (Institute of Electrical and Electronics Engineers). The first instances of the protocol surfaced in 1999 with the introduction of the 802.11a and 802.11b versions. Later down the road, improved types appeared: the 802.11g in 2003 and the 802.11n in 2009. So, why is 802.11ac so special? This version of the protocol was launched at the end of 2013 with both router and consumer devices manufacturers scrambling to incorporate the new technology in their flagship devices. This version of the 802.11 protocol is the most advanced we currently have, being 3 times faster than 802.11n. This significant boost is achieved by several improvements such as wider channels in the 5 GHz band, more spatial streams (transmitting more data at once) and the introduction of the MU-MIMO technology, which we’re seeing implemented not only in top of the line devices, but also in more affordable, consumer oriented notebooks. 802.11ac is particularly useful for those users who need improved transfer speeds and throughput for activities such as streaming online HD content, multiplayer gaming or fast data transfers. 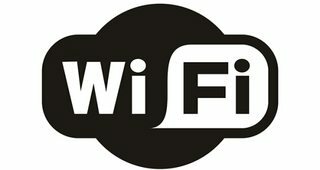 Is 802.11ac it backward compatible? Yes, 802.11ac is completely backward compatible and furthermore, future proof since every version is built by improving the previous one. If you have a 802.11ac router and an older notebook, your wireless transfer speed will be limited by the older wireless card, but it will work. The same concept applies when the router doesn’t support 802.11ac, but the notebook does. It will only affect transfer speeds and not the core functionality of the protocol, which is to wirelessly transmit data. What is the future of the 802.11 protocol? The successor of 802.11ac will be the 802.11ax, predicted to be launched in 2019. It’s still in an early stage of development, so no clear details are yet known about the future technologies that will be implemented, but the stated goal is to provide up to 4 times the throughput of 802.11ac! What are some representative 802.11ac routers? TP-LINK Archer C3200 – Top tier router with Tri-Band technology (2.4 GHz @ 600 Mbps + 2 x 5 GHz @ 1300 Mbps), 6 antennas providing unparalleled wireless ranges, 1 GHz dual core processor for uninterrupted streaming, IPv6 support and beamforming technology. Perfect for demanding 4K video streaming or online gaming. Netgear AC 1750 – Mid range router with Dual-Band technology (2.4 GHz @ 450 Mbps + 5 GHz @ 1300 Mbps), QoS support, 3 antennas provide a good wireless range across multiple rooms, 800 MHz dual core processor and 4 Gigabit ports. Ideal for streaming HD content, playing online games and serving up to a dozen devices on the same network. Rosewill RNX-AC750RT – Affordable router with Dual-Band performance (2.4 GHz @ 300 Mbps + 5 GHz @ 433 Mbps), 4 Gigabit ports, 2 antennas which will work well in an apartment or a small house and QoS. It’s a good choice for users who are not into bandwidth intensive activities and just want to browse the internet a bit faster and without signal issues.